Memorial Day is more than just a three-day weekend for some; it’s a time to honor commitment, community and the nation’s service men and women. In addition to the many parades and community celebrations, many organizations offer discounted rates and other promotions. 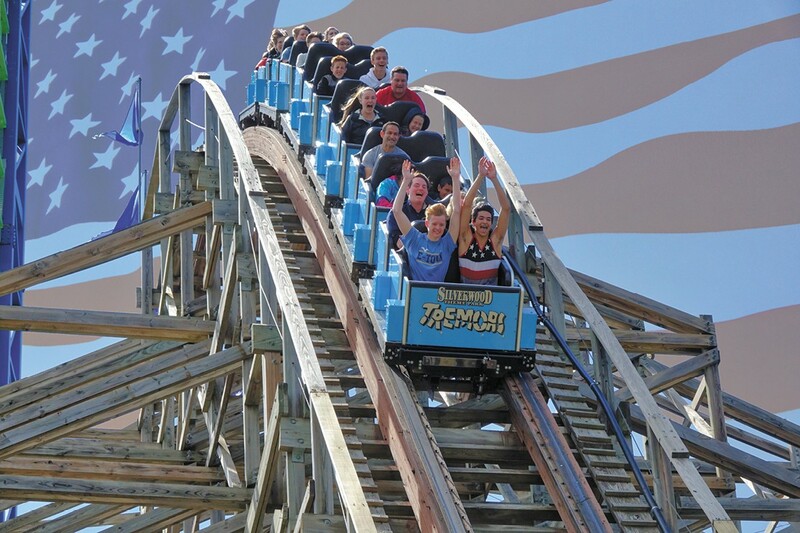 SILVERWOOD THEME PARK honors all military personnel, including veterans, as well as those working for the police and fire departments (identification required) with free admission May 26-28. Spouses and children may enter the park at reduced rates: $24, ages 8-64; $19, ages 3-7; $14, ages 65 and up. Visit silverwoodthemepark.com or call 208-683-3400. If the unseasonably early start to summer continues, being on the water is ideal. In Coeur d’Alene, get out on something that matches your mood. Rent jet skis, ski boats and pontoon boats at KJ WATERSPORTS (coeurdaleneboatrentals.com/boat-rentals or 208-818-9040) or JUST ADD WATER SPORTS (cdajaws.com or 208-765-8333). Prefer to let someone else do the piloting? It’s a little early for the full schedule of summer cruises, yet LAKE PEND OREILLE CRUISES has a few options for weekend wildlife watching in East Hope and Clark Fork Delta areas (http://www.lakependoreillecruises.com or 208-255-LAKE). Closer to home, LAKE COEUR D’ALENE SCENIC CRUISES depart several times daily, including for a sunset dinner cruise (cdaresort/discover/cruises or 855-703-4648). The Coeur d’Alene Resort can have you on the water — they also rent paddleboards, as well as jet skis — or just near it to enjoy an old-fashioned CLAM BAKE. Head to Hagadone Event Center for a glorious view and an all-you-can-eat seafood buffet from 5-10 pm, including oysters two ways, barbecued steak and ribs, corn on the cob, a cold salad bar and more. Tickets: $75 adults, $30 ages 10-14, free for ages 9 and under (cdaresort/discover/events or 855-703-4648). And for a Lake Coeur d’Alene trip you and your loved ones are sure to remember forever, contact BROOKS SEAPLANE to schedule your flight over one of the world’s most beautiful lakes (brooks-seaplane.com or call 208-664-2842). Classic rock legends John Kay and Steppenwolf take the stage this May at Coeur d’Alene Casino to play their beloved anthems “Magic Carpet Ride,” “Rock Me,” “Monster” and “Born to Be Wild” among other ’60’s favorites. Tickets $35+, 7 pm, Coeur d’Alene Casino. The snow is still melting, but summer operations begin May 26 at Silver Mountain. Scenic gondola rides offer panoramic views, and rounds of golf at Galena Ridge also offer dramatic vistas. While trail openings are weather dependent, it’s always warm and wet at Silver Rapids Indoor Waterpark. Go to visitcda.org for hours and rates. The 41st annual Coeur d’Alene Marathon starts and finishes at McEuen Park. In addition to a full marathon, participants can also choose from a half-marathon or a 5K run/walk. Late registration is available during packet pickup Saturday, May 26, from 11 am-6 pm at the Resort Plaza Shops. 6:30 am marathon start, 7 am half-marathon start, 7:30 am 5K run/walk.